Leeks consumption chart is very high and is one of most popular food sources in the world. 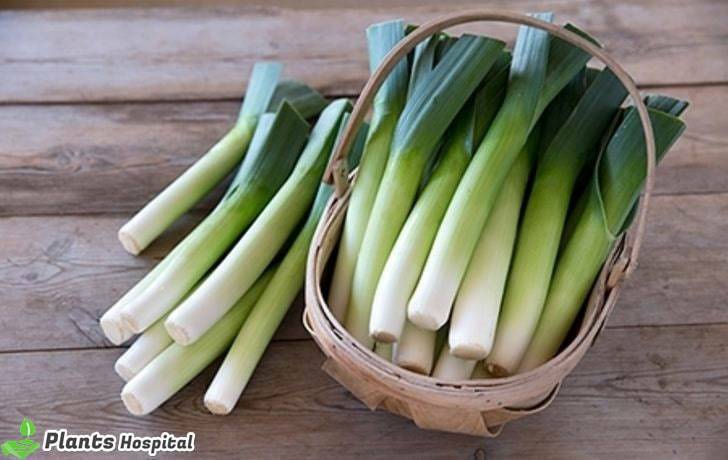 Leek is extremely nutritious, cheap and very useful in terms of health vegetables. Leeks which is widely used in cosmetics industry also has a special place in pharmaceutical industry. Combination of flavonoids and sulfur in leek makes leeks very valuable. Leeks can be found all year round, but more season begins in spring. The leek contains an impressive amount of flavonoids, especially amount of kaempherol and sulfur. Besides these, leeks which are rich in fiber also contain vitamins A, E, K. Especially in terms of vitamin A is incredibly rich. Potassium, calcium, magnesium, manganese, iron, copper as well as niyasin, pantothenic, pyridoxine contains vital components and minerals that are vital to body. The foods contained in leeks serve skin health particularly in a wide range. Leeks with great nutrients for skin also contain vitamins and minerals that closely concern health of heart, blood, eyes, bones and digestive tract. 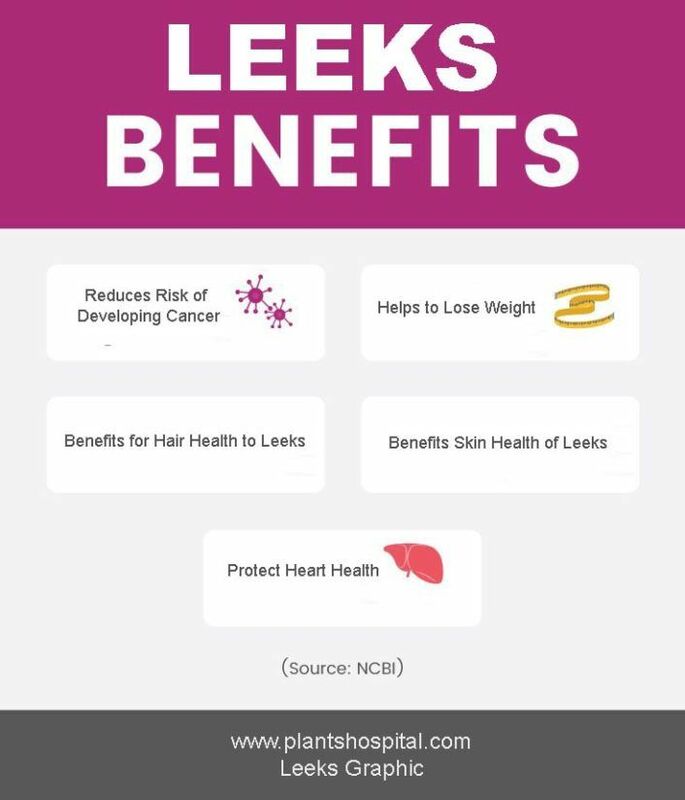 Leeks has a positive effective and natural diuretic, effect on skin health in a way with this feature. It cleanses body and gives a shiny appearance to skin. Contain 100-times more beta-carotene and twice as much vitamin C than other parts of white portion of green leaves. Leek contains vitamins A, C and E and protects skin from sunlight with help of other minerals and components. Good source of minerals such as manganese, iron, vitamin C and folate. Leek consumption is vital for hair health protection. Vitamin C and iron, which is very rich in leeks can prevent hair loss. It also strengthens hair roots, and can even help restore lost hair. It can eliminate problem of anemia causing hair loss. Which is very effective against free radicals increases resilience of veins and reduces risk of hypertension. Leeks also contain plenty of micronutrients of vitamin K that protect health of all tissues in body. As a result, contributes to formation of a healthy and robust vascular system. It also speeds up blood circulation thanks to this feature. This is beneficial in terms of health. Vitamin K contains high osteocalcin, which is vital for bone health. A cup of leeks consumption can provide nearly 3/1 of vitamin K body needs. Even from this perspective, is enough to understand how important leek is for bone health. Contains very important minerals and vitamins for heart health. Leek, which plays an important role in protection of vascular and blood health, is already indirectly contributing to tiredness of heart. It can reduce risk of cardiovascular disease, such as coronary artery disease and atherosclerosis. Read: Okra: 13 Best Health Benefits of This Super Plant! | Try it Now! Among friendly foods of digestive system. As is easy to digest, also helps organs for digestion. Contains minerals useful stomach, kidney and intestines. Eliminates factors that cause formation of malignant tumors. It can reduce risk of developing prostate, colon and ovarian cancers. Allows to lose weight. Also leeks are a natural appetite suppressant. Leek contains a high amount of fibers to suppress a sense of hunger for a long time. In addition, soluble and insoluble fibers provide increased bowel movement, as a result of which constipation, such as preventing weight loss is eliminated. Leeks are rich in lutein and zeaxanthin, and these substances are vital in eye health. These substances protect eye membranes from harmful sun rays and microbes as protect DNA and cells. Regular consumption of leeks also protects eyes from risk of developing macular degeneration due to aging. Rich in vitamin B9, also known as folate. Folate is an important part of nutrition process of pregnant women. This article is also among main items needed for formation of new cells. Play an important role in reducing cholesterol levels by facilitating bowel movements. It also reduces production of cholesterol in liver by throwing out extra cholesterol potential of body. 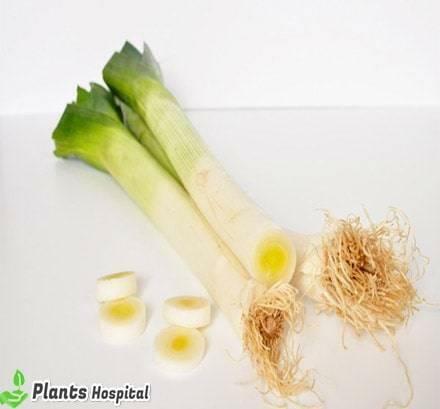 The leek has antiseptic properties that help body fight infections. This can help keep your cholesterol level at a balanced level. Contain unsaturated fats and are beneficial for respiratory tract. Flu, cold, flu and cough problems such as can be overcome in a short time. Large quantities of leeks of manganese, phosphorus and folate can have significant effects on central nervous system. These substances can help in memory especially at concentration point. Usually have positive effects on health and there is no evidence of any unwanted side effects. However, for pregnant women and babies, is important to consult a doctor before starting to consume. In general, there are some side effects due to excessive consumption. One of food sources that can be consumed throughout year and is very useful in terms of health. In winter, we recommend to start consuming in autumn to avoid possible mistakes. Thus, body’s defense system is prepared for winter. Quite informative and highly curated article that explains the health benefits of Leeks.